Samsung Health initially debuted as 'S Health' on the Galaxy S3. It was initially only available on Samsung's Galaxy Apps store, but became available to all Android 4.4 KitKat+ devices in 2015. It's now hit a whopping 500 million downloads on the Play Store. As you might have guessed from its name, Samsung Health is one of many fitness apps out there. It can track your running, hiking, biking, and more, as well as monitor your food intake. If your phone has a heart rate monitor, which is basically any Samsung flagship from the Galaxy S5 onwards, it can take advantage of that, too. 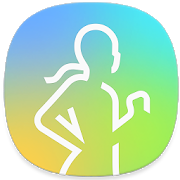 But what puts it so far ahead of any other fitness app on the Play Store in terms of downloads is the fact that it's pre-installed on a wide variety of Samsung phones. Personally, my fondest memory with S Health / Samsung Health concerned disabling it on any Samsung phone I owned to make my app drawer less cluttered. What's yours?